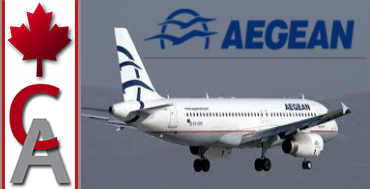 Description: Aegean Airlines is Greece's largest carrier, flying to more than 80 destinations across Europe, as well as points in Africa and the Middle East. It has hubs at Athens International Airport, Larnaca International Airport and Thessaloniki International Airport, and has designated six other Greek airports as focus cities. From it's inception in 1999 until today, Aegean airlines have provided full service, premium quality short and medium haul services.Aegean has been honored with the Skytrax World Airline Award for the eighth time, as the Best Regional Airline in Europe for 2017.